'I first knew there was a problem in my department when I read about it in Noseweek'– minister says. 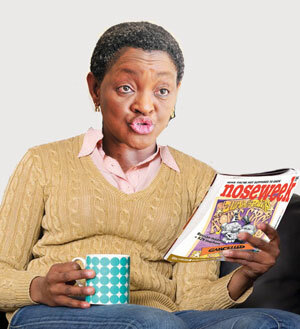 An inquiry mandated by the Constitutional Court into whether Social Development minister Bathabile Dlamini should be held personally liable for legal fees in the grants crisis, turned up at least one unassailable truth: only after reading Noseweek did Dlamini realise that there was a serious problem with her department’s planning programme. Yay! Noseweek!! I think we should sue advocate Taradiddle QC and send a posy to Whats-Her-Face for her most unusual and very brief foray into truthfulness. We should capture her as a spokesperson going forward. She's used to being captured. 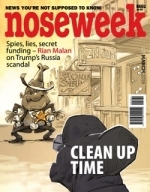 hooray Noseweek, for the news that everybody should know and hear.